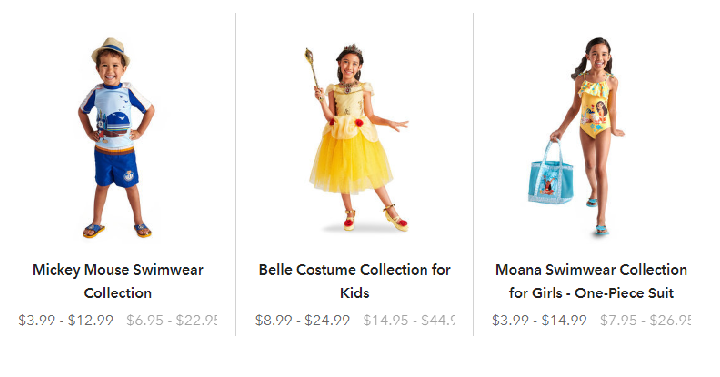 Shop Disney: Twice Upon a Year Sale + FREE Shipping! Save up to 50% off! Sweet! Today only, Shop Disney offers FREE shipping on your entire purchase. Just use coupon code FREESHIP at checkout. Plus, right now you can shop the Twice Upon a Year Sale and save up to 50% off. If you have a Disney trip planned or a Disney fan in your home, shop now and save big. Some fun ideas or swimwear that starts at only $3.99 shipped, or grab cute costumes for kids.